Ever have your Drivers License scanned at a store? Well here’s the private information you’re releasing by State. 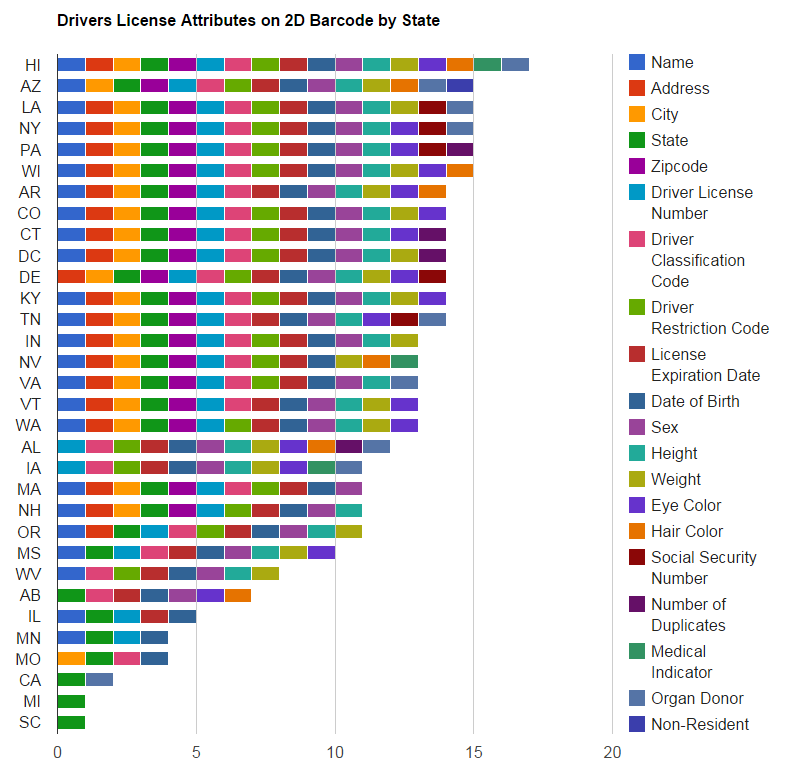 What is on the Drivers License Bar Code? This entry was posted in DataViz on 02/09/2015 by MantasCode. According to the data source US State Georgia uses encryption. The PDF417 code on a Michigan license encodes DOB, lastname, firstmiddlenames, date of issue, date of expiration, address, DL number, and a long string I haven’t found a meaning for yet. I’ll go pester your source. This information is both incomplete and highly outdated. 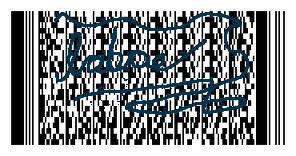 PDF417 barcodes are now mandatory on all state-issued ID/DL cards in the United States and they must comply with one of the published AAMVA (http://www.aamva.org/driver-licensing-identification/) design standards. States can no longer encrypt the information specified in the design standard, but they can (and many do) include other encrypted information within the barcode in addition to the required data fields. However, despite the fact that it presents quite erroneous data, the color map is still quite pretty… If you’re going for style over substance, you can haz win. I’ve been trying to find a definitive list or information that indicates all states support this and I cannot find it. Any links to an official source listing the states would be great. http://www.aamva.org/ID-Security-Technologies/ then click the USLicenseTechnology tab. Is it illegal for someone to scan your drivers license in Tn. When you by beer? Illegal? Depends on the state laws. You can refuse to allow them to do it, but on the same note they can also refuse you service.